A hovercraft is a non wheeled vehicle that can hover over land as well as water easily using high powered fans and aerodynamic design. 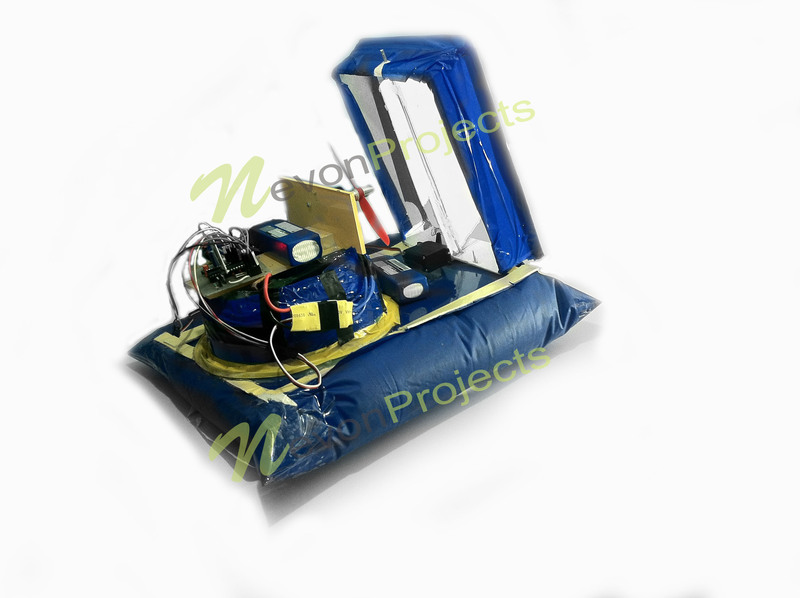 We here propose an advanced hovercraft that uses high rpm motors interfaced with an avr family microntroller to achieve desired functionality. The motor below hovercraft rotates at a very high RPM that allows it to generate a force enough to make it hover on the surface thus reducing the friction below it to minimum. Then we use the motor propeller mounted behind it to push the hovercraft in forward direction. Now we also need to use a servo motor attached to the hovercraft rudder that helps the hovercraft to move in desired directions by bending the air at accurate angles. The system works collectively to hover while continuously managing servo as well as propeller motor to drive the hovercraft as desired. Now to control the hovercraft we here use an android application. The android application sends movement commands to the hovercraft circuit. 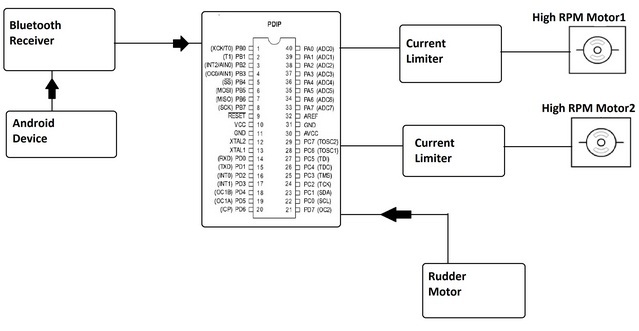 The circuit consists of an Bluetooth receiver to receive and process these commands. 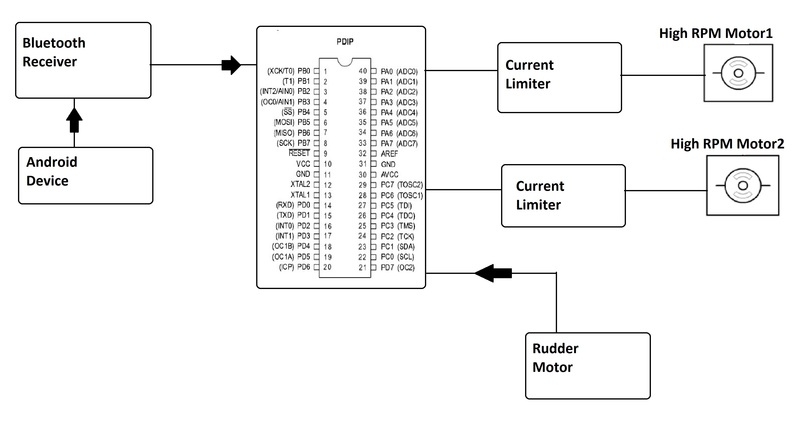 The commands received by receiver are now processed by the microcontroller and it then operates all three motors accordingly as desired by the user.